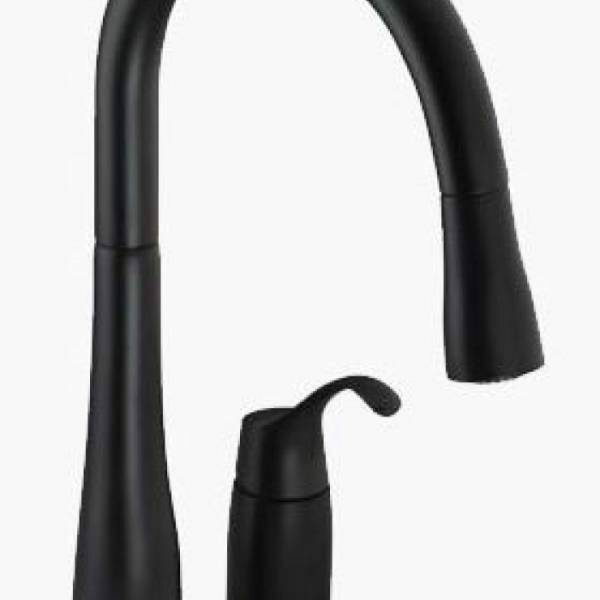 An innovative fit for a variety of kitchens and tasks, this Simplice pull-down kitchen faucet combines an elegant, universal design with exceptional ergonomics and functionality. The high-arch spout rotates 360 degrees and reaches over the tallest pots, while the smoothly maneuvering sprayhead pulls down into the sink for up-close tasks, or out of the sink to fill pots. Sculpted buttons on the sprayhead ensure simple operation even with wet, soapy hands.